DETROIT — For the Detroit Tigers, success isn’t really measured in wins and losses these days. That’s what happens when a franchise knows it is rebuilding and has almost no expectation of contending. The Tigers lost 98 games in each of the past two seasons, and it may be a while before the top prospects make any significant impact at the major league level. The Tigers actually managed to finish third in the AL Central last season, since the White Sox and Royals both lost at least 100 games. But Detroit is probably behind Chicago, at least, in terms of which franchise is better positioned for quick improvement. This will be an important season for Detroit’s minor league prospects, and a year from now, Tigers fans might have a better sense of how soon they might be able to watch winning baseball again. In the meantime, Detroit will hope for a healthier season for slugger Miguel Cabrera, who played just 38 games last year before having biceps surgery. “If he feels as good as he’s talking right now — because it sounds like he’s really happy, really excited — that’s important for this baseball team because we need him,” manager Ron Gardenhire said. The 35-year-old Cabrera is the most prominent link remaining to the Detroit teams that won four straight division titles from 2011-14. The focus now is on the future. 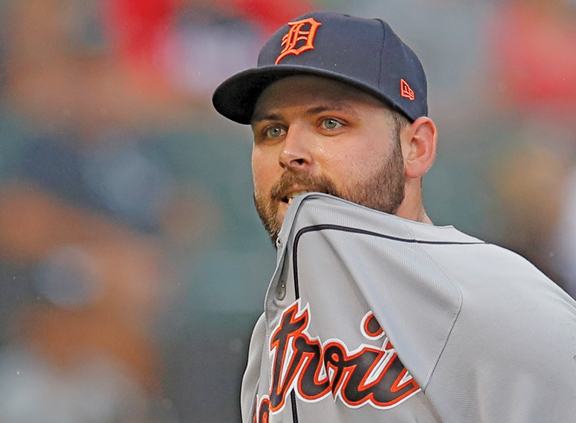 The Tigers do have a few young players who have already contributed in the majors, such as right-hander Michael Fulmer, reliever Joe Jimenez and third baseman Jeimer Candelario. But Fulmer and Candelario are already 25, and neither was all that great last year. It may still be a while before the Tigers are in the mix for top free agents, but they made a few modest moves early this offseason. Detroit added pitchers Matt Moore and Tyson Ross, both of whom could help the rotation if healthy, and the Tigers also signed shortstop Jordy Mercer. Detroit also made an interesting move when it claimed Kaleb Cowart off waivers from Seattle. The Tigers have listed Cowart as an infielder and a right-handed pitcher. He hasn’t pitched in the majors, but he was a prep star on the mound and at the plate. Outfielder Christin Stewart, a first-round draft pick in 2015, made his big league debut in September and played 17 games. Outfielder Daz Cameron, who came to the Tigers in the trade for Justin Verlander in 2017, could arrive in the majors this season, too.